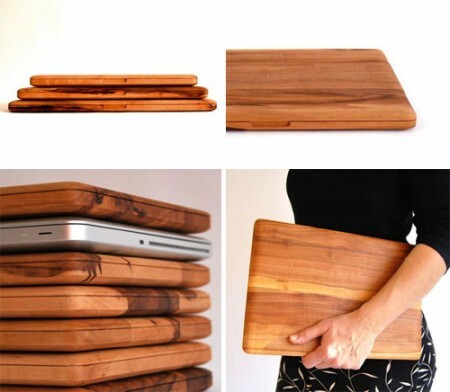 Here’s a cutting board designed to look like an Apple MacBook Pro. It’s made of apple tree wood and cost 43 EUR). You can order it from this website: Das ApfelBrett. Via Holycool and Design Milk.